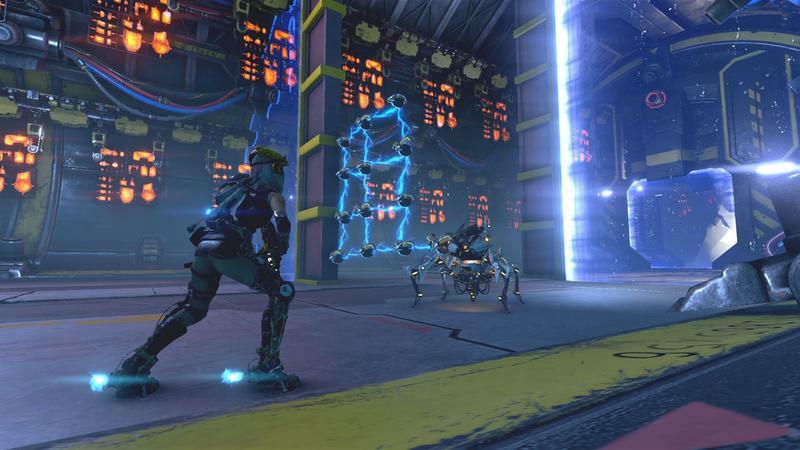 Part of me loves ReCore for what it's doing in the gaming space. This Xbox One and Windows 10 title (you can get both for the price of one if you buy it digitally) sticks to old action-adventure tropes as a third person shooter with an overworld and dungeons. All of that good old stuff, though, is adapted alongside a lot of bad old stuff. 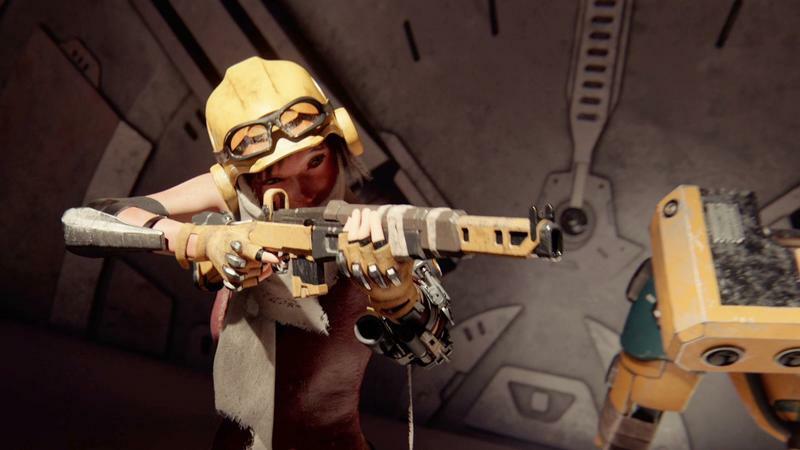 Developed by Armature Studio and Comcept, ReCore is almost equal measures of fun and frustrating throughout its campaign. Its budget launch price of $40 says a lot about the way Microsoft viewed this one as they sent it out the door. 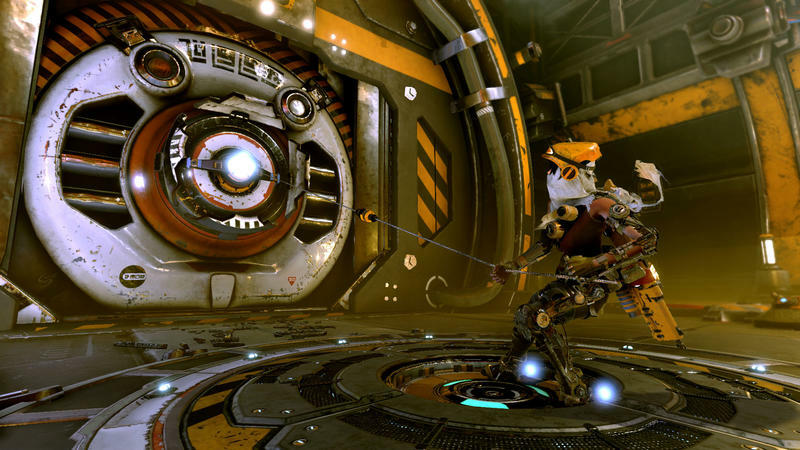 Is ReCore worth your scrap metal? Maybe. Here's what you'll dig and what you'll hate. 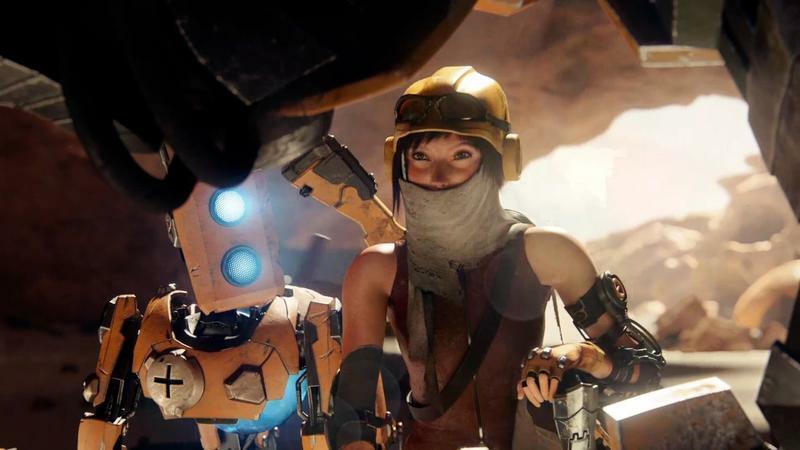 ReCore tells the story of Joule, an engineer stranded on the Far Eden colony planet. A disease spread back on Earth, and humans set out to find a new home. Joule Adams' adventure in ReCore begins as a search for power (of the energy variety) alongside her K-9 Corebot companion named Mack. These Corebots are robots. Corrupt Corebots are the baddies you'll face, and the good Corebots will become your companions. This companion system is likely my favorite part of ReCore. Each of the Corebots who join your party can be swapped out one at a time at the press of a button. They'll help you traverse the environment or uncover secrets, and then they jump into the combat system rather nicely to shake things up and take down tougher enemies. 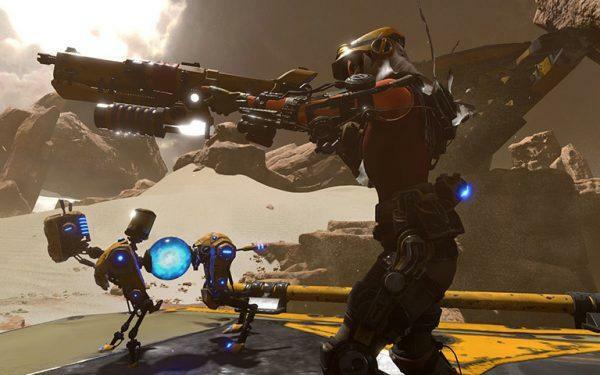 The Corebots and the way Joules interacts with them provides ReCore with a whole lot of charm. The combat and presence of these Corebots is what pushed me through the experience. Updating their parts with newly crafted pieces is rewarding, and nailing combos between yourself and your Corebots feels awesome. That combat, by the way, is pretty neat. Joules has a rifle that, as you progress through the game, will receive colored ammo add-ons. You'll have, for instance, Red, Blue and Yellow to swap through. The list grows as you play. The corrupt Corebots are colored uniquely as well, and some change colors as you fight them. You've guessed where this is going, right? In order to deal better damage to corrupt Corebots, you'll need to press the right color button on your d-pad. Do that, and you'll rip through enemies. That aspect of swapping colors quickly in a flood of combat is a whole lot of fun. The 3D platforming is decent, too. There are moments where Joules feels a bit stiff, but you won't really be wrestling with the camera or cursing at the game for not performing the way it should under pressured platforming. When Corebots like Seth, the awesome spider-esque bot, add unique traversal opportunities, ReCore's platforming downright shines. These, ahem, core mechanics wear on a bit as the experience meanders, but the story, combat and Corebots mostly maintain their fun. The combat, perhaps, gets a little repetitive, but good Corebot juggling makes it more fun. Now, we'll swap the good with the bad. Every time the pace got moving in ReCore, the same thing happened. You get to your next objective, and the game turns to pad the moment out through collection. Investigating a signal? You finally get there. Too bad you'll need to platform or explore for 30 minutes to open a door. Cool, you've opened the door. Your next objective is here! Wait, no, you'll need to collect five more things to move on. Beneath the story, Corebots and compelling combat is a gameplay loop that, ultimately, gets tiresome as the experience wears on. Run, fight, collect, objective, run, fight, collect, objective. Every time. Every dungeon you visit will put these same collection-based roadblocks in your path, and that gets so tedious. And oh those loading screens. Oh boy. There are a ton of loading screens and they almost always sit around two minutes in length. That's on the Xbox One. Supposedly the PC version is better, though I've heard the loading screens can still fall between 30 seconds and a minute. You'll see them every time you fast travel, enter a dungeon, enter a new region on the map or enter your base. That's, well, a lot. Why can't I set waypoints on the map? Why do I have a fast travel system that only incurs more incredibly long load screens? Why is my home base the only place I can craft and upgrade? You'll collect a lot of blueprints, and the benefits of outfitting your Cores with complete part sets for bonuses are pretty huge. You'll want to craft often in order to get the most out of the adventure. Too bad you can only craft at your workbench and the only workbench is in your walker. Yep, you guessed it, you're going to have to sit through some serious loading screens. They've done the courtesy of placing a fast travel to base button right in your main pause menu, but that just means more loading screens. 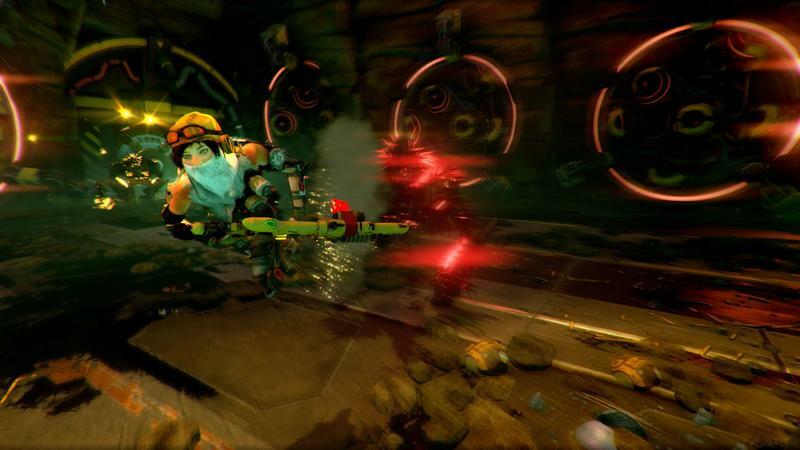 Then there are these challenge dungeons that press you to beat enemies or navigate platforms at breakneck speeds. Say you mess up. Say you miss a jump, as can happen in a good platformer, and you fall into a pit and lose time. 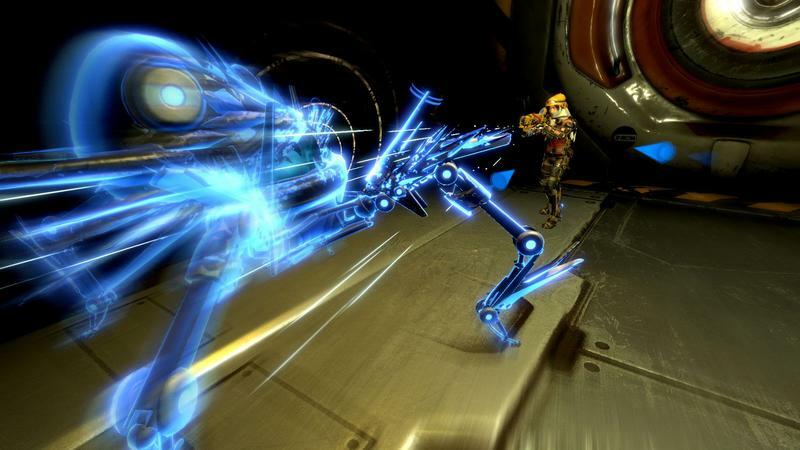 The perfectionists in all of us, an attribute ReCore actively encourages with its collection-based design, will want to restart that challenge and try again. You'll have to complete the challenge in order to do it. That means messing up, wanting to try again and having to slog all the way to the end of the dungeon's exit point in order to select restart. I'm all for difficulty in games. I enjoy being stressed and challenged by the puzzles and obstacles a title sets in front of me. When the biggest frustrations I have with a game are not those obstacles themselves but the poor design decisions put in place around them, I get bummed. That's ReCore. 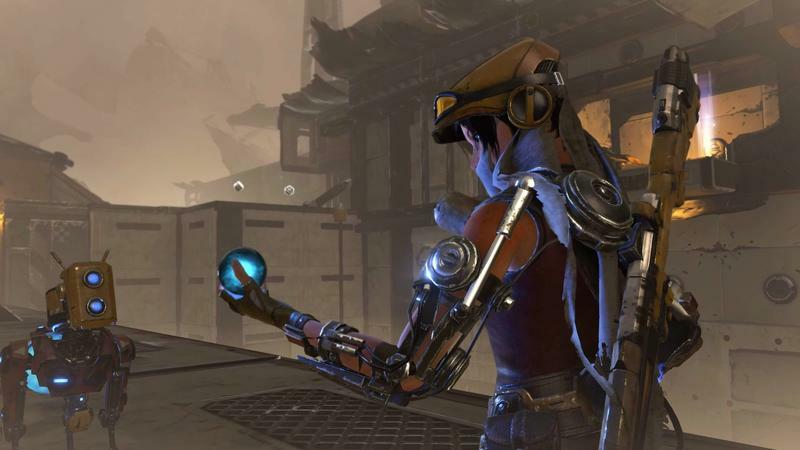 ReCore is a mix of good and bad design decisions. Technical hiccups like loading screens and occasional frame drops during combat on the Xbox One are problematic, but the active choice to aggressively pad length through forced collection is troubling at best. If you find yourself hankering for more classic gaming style, ReCore channels a lot of those mantras really well. It's an old game in a modern age. Unfortunately, Armature and Comcept brought too many problems from bygone eras along for the ride. Shorten the loading times significantly through patches and I guarantee we have a less obnoxious experience on our hands. Then it would only be forced collection holding us back, and I think I'd suffer through that. ReCore is $40, and that should help sway you if you're on the fence. If not, I have a feeling this title will dip in price relatively quickly. If you like what you've seen, take the plunge. I will say that you should wait for a patch. You wouldn't be making a terrible mistake picking ReCore up now, but I know I wish I waited for these load times to be fixed. Disclaimer: We received a code to download and review ReCore from Microsoft.